Not much to look at, admittedly. But in our hands it becomes the ULTIMATE FEEL-GOOD FOOD. Perhaps it’s the way we use only locally sourced potatoes and make our mash fresh for every person. Perhaps it’s the delicious choice of organic sausages, gourmet pies and TASTY GRAVIES that accompany it. 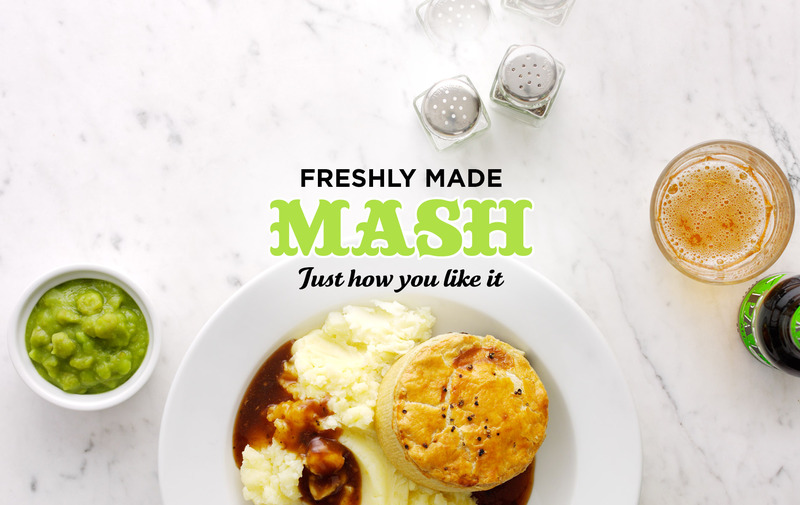 Or maybe it’s just that FRESHLY-MADE MASH makes everyone feel good. Whatever it is, at Mother Mash you can expect HEART-WARMING, HAPPY, soul food every day of the week. Lunch and dinner are served daily from 11.30am until 10pm. We do deliveries via Deliveroo. We also do takeaway. Contact us for more information. You’ll find us just off the hustle and bustle of fashionable CARNABY STREET. 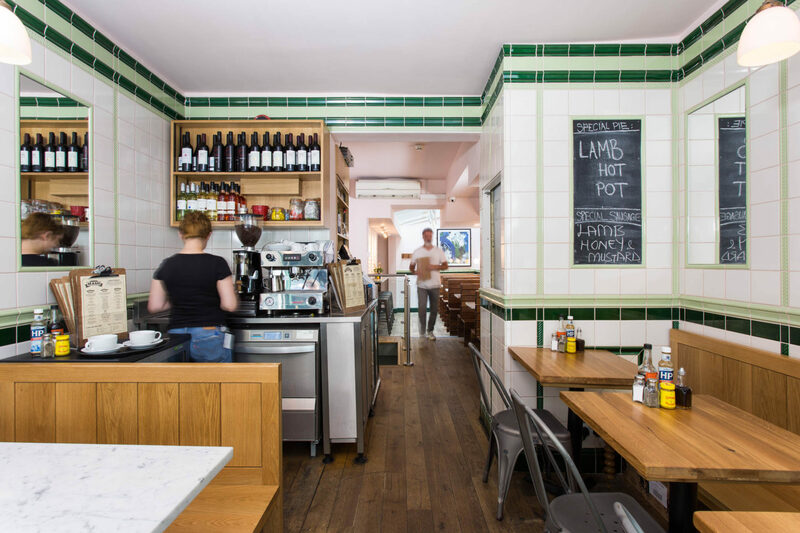 Taking design cues from the original, VICTORIAN London pie and mash shops, our restaurant has an attractive modern dining room, with plenty of daylight, white subway tiles and TRADITIONAL marble tabletops. There’s also a nice outside area, ideal to sit and watch the world go by. Come and join us.